The publishing world is set to face a mythological storm in 2018 with the release of the first three books from Rick Riordan’s new imprint. The new imprint, appropriately titled Rick Riordan Presents, is a sub-publisher for Disney Worldwide Publishing. Riordan’s books typically include a mythological component to them, including Greek, Roman, Egyptian, and Norse, and this imprint will allow that tradition to continue in vibrant fashion. Riordan notes on his website that the goal here is to use his platform to lend others the voice to write about their cultures and mythologies in ways that make them shine. Debuting the imprint in March 2018 is Aru Shah and the End of Time by Roshani Chokshi. This book tackles Hindu mythology, which Riordan says he had been asked about for a long time. Following this novel in 2018 are Storm Runner by Jennifer Cervantes and Dragon Pearl by Yoon Ha Lee. The former focuses on Mayan mythology, while the latter includes Korean mythology. 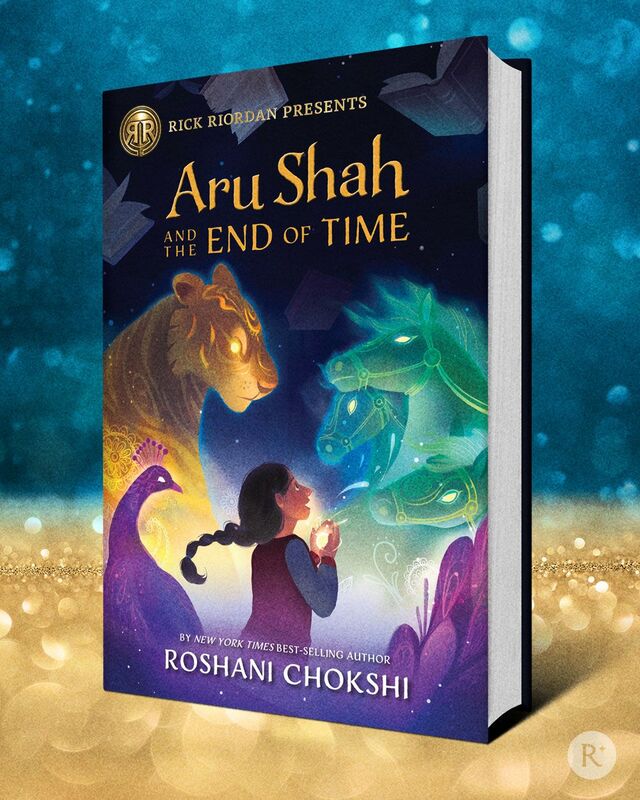 An excerpt from Aru Shah and the End of Time can be found here. Riordan also notes that the introduction of Rick Riordan Presents will not conflict with the release of his own works. The third book of the Trials of Apollo series, dubbed The Burning Maze, is set to release on May 1, 2018. Two more novels are planned for this series after The Burning Maze. For brief introductions to all three novels by Riordan himself or to learn a little more about the three authors publishing with him, check out the imprint page on his website here. As always, tweet us @Fuzzable with your love for Rick Riordan and for books in general!